Don’t hit anyone in the head with your backpack! Whether on buses, trains, or planes, turning around quickly in narrow areas can make you unwittingly hit fellow passengers. If possible, take backpacks off the shoulder and carry them down the aisle. When it comes to carry-on luggage, try not to be ‘that person’ who abuses the carry-on luggage limit by taking larger luggage than allowed. And, don’t place it sideways to take up more space than it actually needs! Be respectful by placing your carry-on in the overhead bin above your seat (not above someone else’s). Overall, less is more. 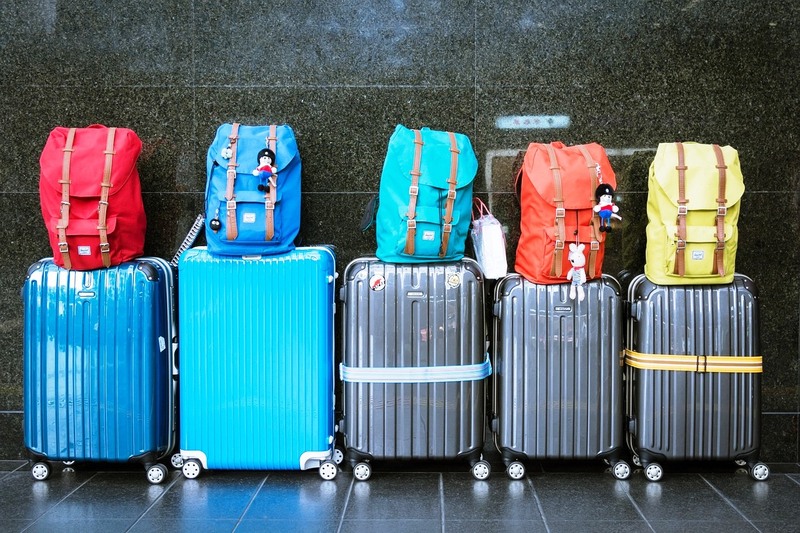 Whether you buy light and efficient space-saving cases, or you ship your luggage ahead to your destination, you should always pack light, and be mindful of what you actually need to bring. Besides luggage size, speed is another etiquette consideration. Try to stow your carry-on luggage overhead quickly – no standing in the aisle rifling through your suitcase in the overhead compartment. If you need more time, or if you need help getting your luggage stowed, step into the seat area for a moment so others can get past you. Blocking others at the luggage carousel is an annoying no-no. If you have successfully made the mad dash to reserve a spot right beside the carousel, remember to stand a few steps back and be polite by letting others get their luggage first if it arrives before yours. And, lending a hand can go a long way to getting people in and out quickly, ultimately leaving you with the space you need when your baggage comes down the belt. Parents, if you can, avoid taking a stroller. They’re clunky and get easily damaged when you check them. Monitoring kids with luggage is also a helpful idea. Sometimes kids think their luggage is a go-cart! If possible, give them a backpack instead.